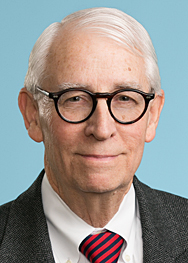 Recently, the DC Circuit held that a Presidential Order prohibiting a transaction to develop wind farms in Oregon because of unspecified national security issues, was violative of the constitutional guarantees of due process. The case is Ralls Corporation v. the Committee on Foreign Investment in the United States (an Executive Branch committee created by the Defense Production Act of 1950). Ralls is an American corporation, but the owners are Chinese nationals. For this reason the purchase of four American limited liability wind farm companies was subject to review by the Committee and a Presidential Order implementing the Committee’s recommendation that the transaction be prohibited. Although the law under which the President acted provides that his actions and findings are not subject to judicial review, the courts do not view this as prohibiting judicial review when the issues raised are constitutional–in this case, whether the owners’ due process rights were violated. As the court notes, they have never received any notice of the evidence of a national security concern, nor an opportunity to rebut that evidence. Consequently, the court concluded that the Presidential Order deprived Ralls of a constitutionally protected property interest without due process of law, and the matter was returned to the District Court to ensure that Ralls now has an opportunity to at least review any unclassified evidence that the government relied upon in making this disputed decision. If you have any questions about the content of this blog, please contact the Pillsbury attorney with whom you regularly work or Anthony Cavender, the author of this blog.